Private Dock No Trespassin'...'er else! Saturday morning, the Green Girl joined the Sole Runners for our weekly Marina Vista Park run. Coach Steve offered last words of advice to the LA Marathoners before our run. 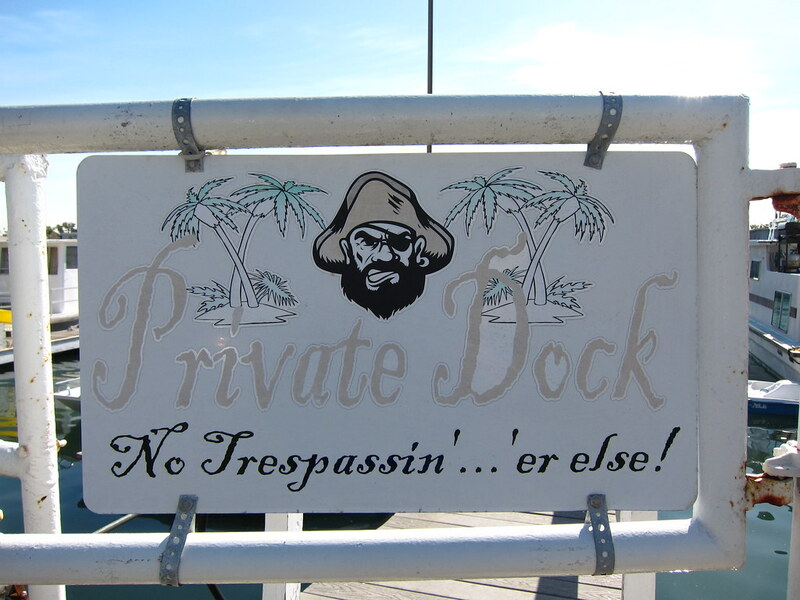 As I was running along the Alamitos Bay marina, I finally spotted the pirate trespassin' sign. Argh! I've unknowingly run past that sign more times than I can count but someone had left the gate slightly ajar so it caught my attention. Post-run, Mentor George led us in some Hillbilly Yoga. As I mentioned before, Hillbilly Yoga is very different from conventional yoga. There appears to be a strong connection between this yoga style and moonshine. 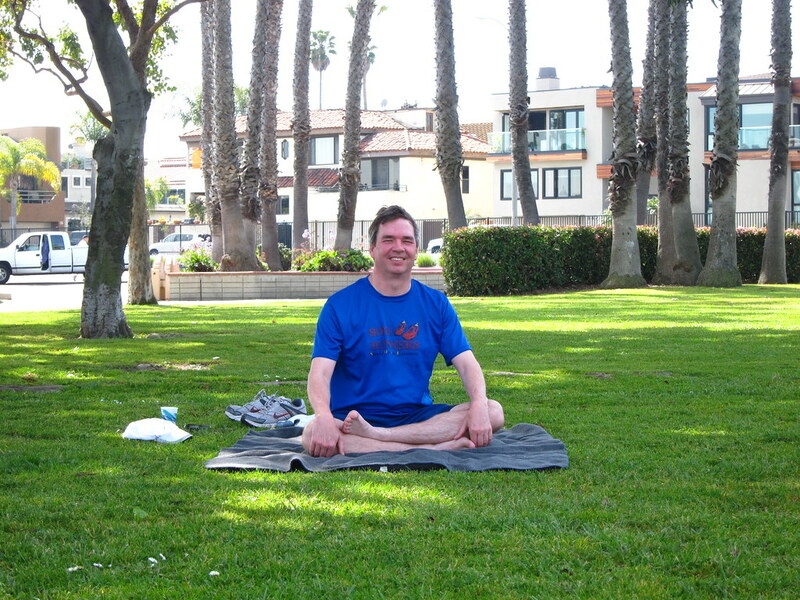 Mentor George started us off slow with Padmasana, or Lotus Pose. In Hillbilly Yoga it's referred to as 'Bed Spins'. One of my favorite hip loosening poses is Eka Pada Rajakapotasana, or Pigeon Pose. In Hillbilly Yoga, this pose is called 'Roadkill'. When it came to Shavasana, or 'Possum Pose', Coach Steve walked us through a visualization of our upcoming race. I tried to focus on the San Diego Zoo Safari Park Half Marathon. I'm a little apprehensive about the 3 hour time limit so I put a lot of effort into envisioning myself at the Finish Line. Looking forward to reading about the HM! I'm visualizing a great finish with you- You will do it! G.G., that 1/2 sounds great. I think you will love it. Wild Animal Park is really cool. Went up to the Burj Khalafia today. 124th floor. Pretty cool. Pirates, moonshine, running, and yoga - sounds like a great outing! Great visual tactics - you CAN do the sub-3!!! Enjoyed the run in my mind along a familiar route. Live the Pirates sign.